This scenario, while traditionally a landslide victory for Reagan, allows for potentially a more competitive election as several what-if candidates are included, all of whom may have fared better than Mondale. Further additions include: Governors and senators as endorsers and surrogates, historical events, primary dates set, issues updated, etcetera–a whole sale update to the other 1984 scenario. 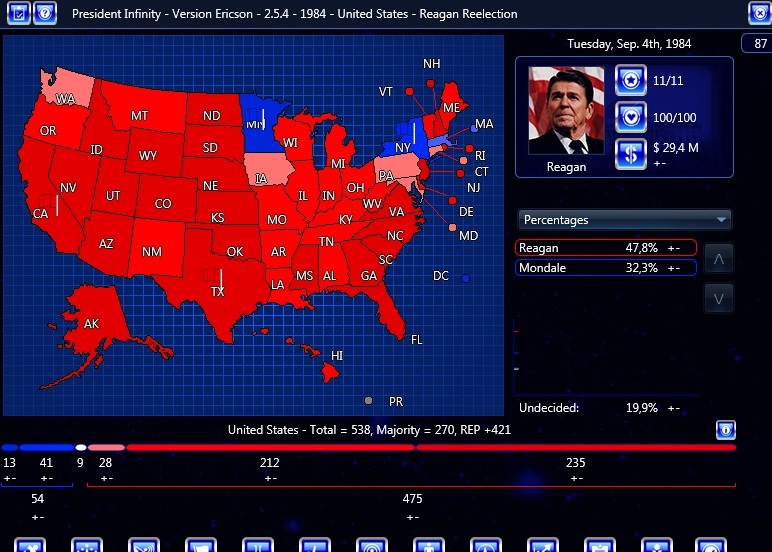 With inflation down, oil prices down and employment up, President Reagan seems unstoppable for a victory in November.